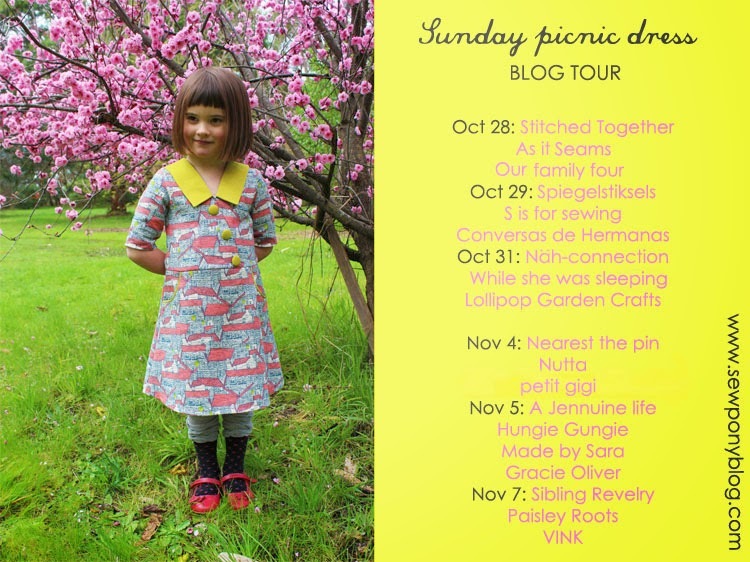 Today is the first day of my Sunday picnic dress blog tour. Yay!! Throughout the tour, you can receive a 15% discount on your purchase of my new pattern with the code: SUNDAYTOUR15. You can purchase through my shop or through etsy (Aussie buyers can buy by direct deposit via etsy if you do not have a paypal account). A full description of the dress and some more more photos are on my shop listing. Rachel From Stitched Together lives in Texas and makes amazing things for her five beautiful kids. She is a lovely writer, photographer and person! I have got to know Rachel this year through our blogs and emails and she is someone I really respect and admire. Her sewing is stunning and she makes everything look good!! 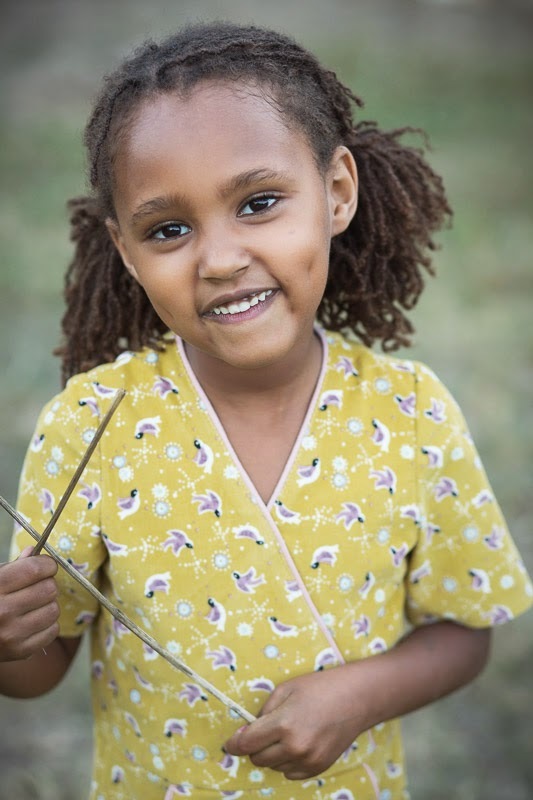 I can't wait to see more of little Tarikua in her Sunday picnic dress! Victoria from As it Seams lives in England and is someone who gets as excited and obsessed about sewing up a new dress in 'that' fabric as me! She has two children, works as a journalist and sews when she can (often late at night which her mother forbids!). I love this fairy dress she made her daughter recently. So romantic! 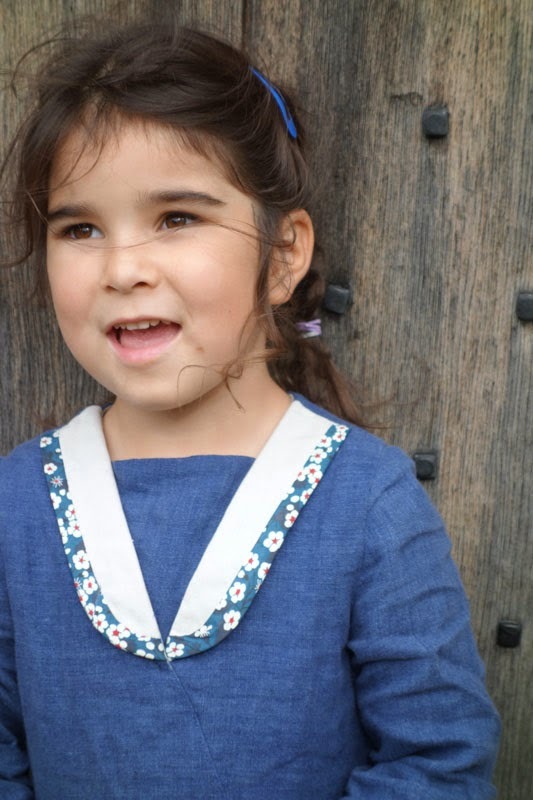 Victoria is such a lovely lady and I am really excited to have her sewing up my pattern and sharing it today for her daughter Missy(pseudonym). Victoria modified the collar and neckline of her lovely dress. Click HERE to see more! Erin also blogs from England from her blog, Our Family Four. 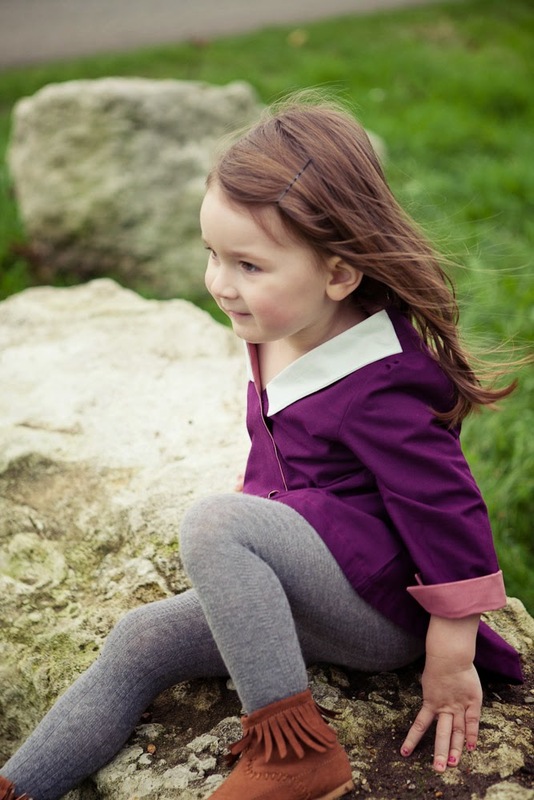 Erin lives in London with her husband and two children. I am a relatively new follower of Erin's but what I have seen of her sewing and style is awesome. I was super impressed by this gorgeous raincoat she made her cute little daughter from tablecloth fabric. Inspired! Erin added cute cuffs to her Sunday picnic dress. How cute is her little daughter? Head over to Our Family Four to see more! Thank you so much Rachel, Victoria and Erin!! See you all tomorrow for more pretty dresses! These are all beautiful variations! Well done, ladies! !